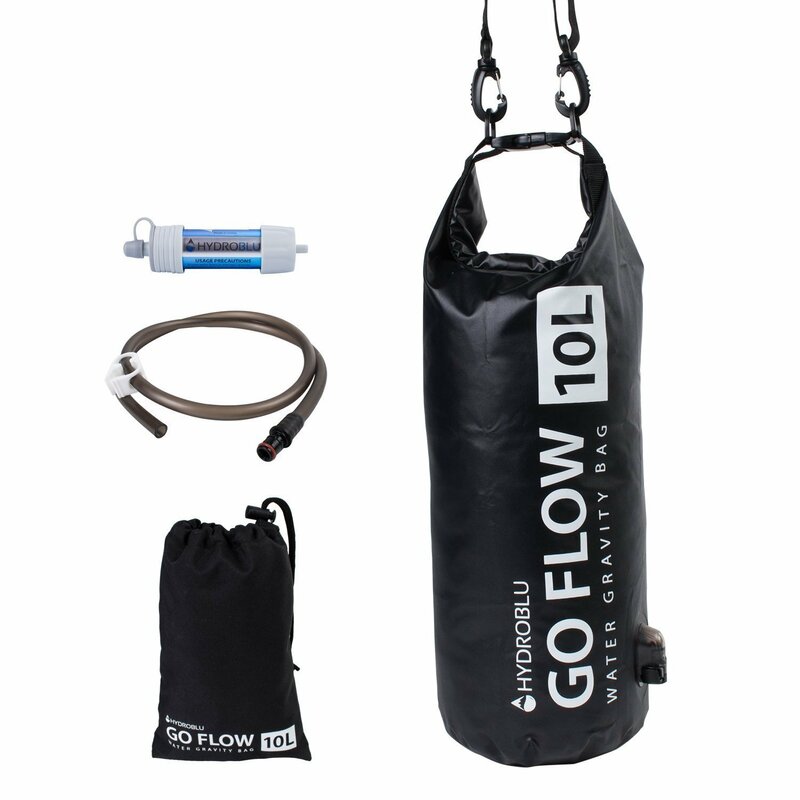 The Go Flow Water Gravity Bag with the Versa Flow hollow fiber water filter is the ultimate filtration system that is lightweight, practical, and will protect you from 99.999% of bacteria and protozoa. The Versa Flow Water Filter is one of the lightest and most convenient personal water filters on the market. Weighing in at only 2 ounces you don’t have to worry about adding extra weight to your pack and when combined with the Go Flow Water Gravity Bag. Together they only weigh 8.8 ounces. This gravity bag and water filter combo is perfect for backpacking, hiking, camping, and emergency preparedness. Plus, with a 10-liter capacity, it is perfect for families and groups when everyone doesn’t have their own water filter. Every Versa Flow Water Filter is built to exacting standards and exceeds EPA standards for filtration and the food-grade Thermoplastic Polyurethane Plastic (TPU) of the 10-liter water bag gives you a safe drinking system. The Versa Flow Water Filter is heavy with features as it uses an ultra-filtration hollow fiber membrane that measures (0.1 microns) and blocks 99.999% of harmful bacteria, Giardia, E. coli, protozoan cysts, Cryptosporidium and more. For full specifications visit the Versa Flow.